Established in 1974, ASPICK ENGINEERING PRIVATE LIMITED is a firm of precision fabrication engineers, specializing in the design and fabrication of special purpose equipment, industrial plants and precision equipment, made from the most carefully selected stainless steel, mild steel or carbon steel, across a wide spectrum of industries, the world over. 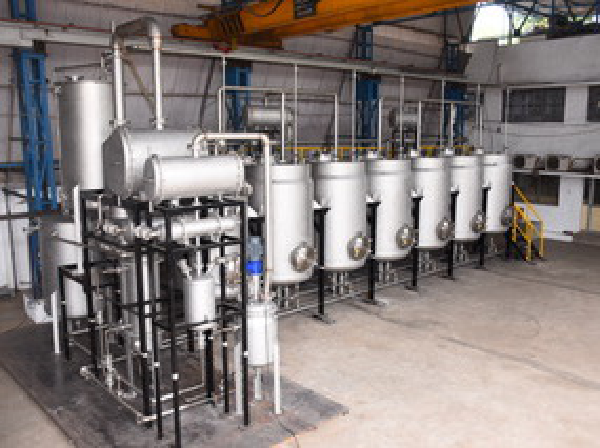 ASPICK designs and manufactures a range of process equipment for chemical, nuclear, petro-chemical, pharmaceutical and engineering industries and also for the nation's nuclear space programme. Established in 1974, ASPICK Engineering is a firm of precision fabrication engineers, specializing in the design and fabrication of special purpose equipment, industrial plants and precision equipment, made from the most carefully selected stainless steel, mild steel or carbon steel, across a wide spectrum of industries, the world over. We design and manufacture a range of process equipment for chemical, nuclear, petro-chemical, pharmaceutical and engineering industries and also for the nation's nuclear & space programme. A wide range of metals, including stainless steel, carbon steel, aluminium, mild steel, ni-hard and other alloy steels are utilised for our precision fabrication, backed by our extremely sophisticated welding techniques. ASPICK's range of special purpose equipment was developed in response to the requirements from the large-scale establishment of chemical, paper and other industries and the space programme. Special-purpose equipment are developed for highly specialised, complex requirements, while projects to improve the performance of equipment in service are also undertaken. Staffed with well-qualified engineers and technicians and a highly skilled work force we have the capacity to undertake basic engineering, detailed design, preparation of manufacturing drawings, precision fabrication, and erection of a variety of industrial plants and special purpose equipment on a turnkey basis. Special purpose equipment supplied by us has passed the stringent inspection requirements of reputed inspection agencies, consultants and other organisations, such as Lloyds Register of Shipping, Tata Consulting Engineers, Engineers India Limited, Directorate of Inspection of the Director General of Supplies and Disposals, Department of Atomic Energy, Buhler-Interfonda of Switzerland, Otto Muller and Heimsoth of Germany, and numerous other world leaders. ASPICK is ISO 9001 certified for our quality management systems and ISO 14001 certified for our compliance with EMS (Environmental Management Systems). Quality isn’t just a catch-word with us, but the most appropriate definition of our organisational philosophy. SPACE - THE FINAL FRONTIER ? ASPICK has developed and manufactured complex import-substitute items for the ceramic industry, stainless steel refiner plates for the pulp and paper industry and special purpose equipment for the abrasive and ceramic industries. 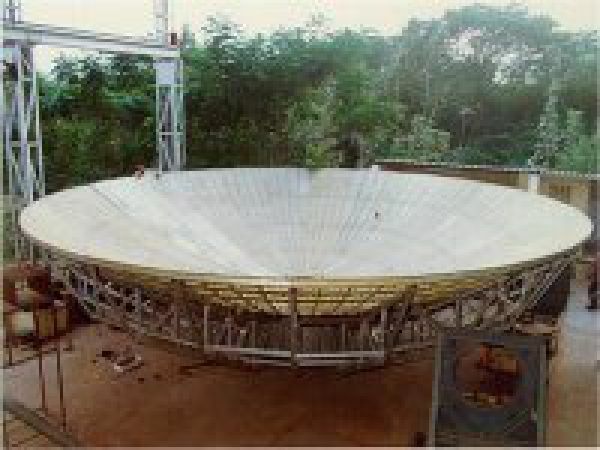 We built the largest satellite communication antennae in India, and among the most accurate in the world, also from very high grades of stainless steel. ASPICK has also supplied some of the most sophisticated reactors, heat exchangers, pressure vessels and ovens in the world. We worked closely with ISRO in developing the country’s space program from a very fledgling stage, and even as the climate across India has changed, our quality has never wavered. 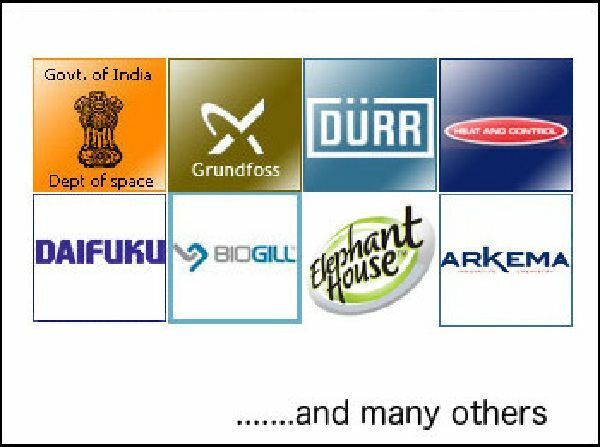 Our clients include MNCs, large private sector companies, as well as various Departments of the Government of India. The ultimate testament to our unrelenting commitment to the highest standards is the fact that at least three of ASPICK’s present-day customers were with us as far back as 1974. Between 1998 and 2012, well over 90% of our business came from repeat customers. In 2010 and 2011, this figure was 100%. What better testament to our quality and timely delivery! 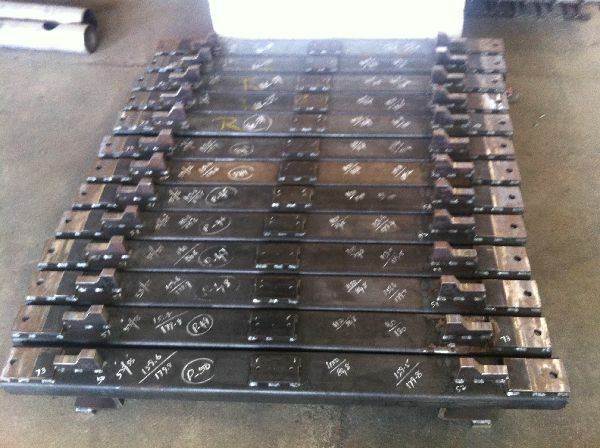 When industries seek the best fabrication work known to man, they come to us. Aspick Engineering has never felt the need to operate a marketing department since inception. Since our early days our committed approach and sustained delivery on every single aspect of quality and timeliness has endeared us to the most demanding of customers. Happy customers who will not only turn to us time and again but will also be our evangelists. Aspick Engineering highly values the contribution made to its success by our partners. be it our suppliers, contractors or consultants, every single individual and entity associated with us right from our seeding stage will always remain our highly valued partners. We owe our capabilities and success to them and they will be treated with integrity, fairness and respect at all times. Strong partners with mutual trust translates directly to a quality that can be achieved with no amount of money. One of the founding principles of Aspick Engineering is to leverage every opportunity to reduce the human impact on the environment. Aspick has been rain-harvesting since 1974. We meet over 50% of our power needs off-grid from our captive solar generation. Our sister concern Aspick Green Tech was one of the pioneers in Chennai (1975) installing horizontal wind mills and also helped Dr.C V Seshadri (Murugappa Chettiar Research Center) in developing critical components for their low cost windmills. Aspick Green Tech presently manufactures indigenously designed industrial class LED luminaires that has been very well received. Aspick Engineering has for a long time invested in people as a core philosophy. Every employee is given equal opportunity to stand up to the many challenges, and shine. Employees who show the spark have limitless avenues to grow. We provide the ideal environment for germinating, developing and sustaining careers. We keep our team motivated by providing learning opportunities at every turn making us a great place to be in. Aspick Engineering has established documented procedures for ensuring incoming, in-process, final inspection and testing. The inspection plan as well as the procedure for inspection and testing is as per a Quality Assurance Plan (QAP) approved by each customer. The stringency of our internal inspection is unwavering, irrespective of the supplier and the rating. No product is despatched until all activities, as required in the quality plan, have been completed satisfactorily. All Inspection and test records are maintained as per the QAP. To achieve the required quality, all testing and measuring equipment are regularly calibrated. 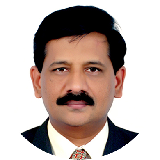 Prabakar is a mechanical engineer by education and joined Aspick Engineering Private Limited as a Trainee Engineer in 1994. After excelling in various capacities, including as General Manager - Engineering, he was invited to join the Board as a full-time Director in 2010. From July 1, 2014 he has been elevated as Managing Director . 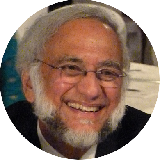 He is a Certified Chartered Engineer (India) and an elected Fellow of the Institution of Engineers (India). 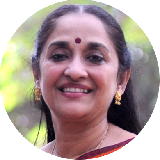 Dr. Nanditha C. Krishna is an author, environmentalist, historian and educationist and a Ph.D. guide of the University of Madras. She is the President of the C.P. Ramaswami Aiyar Foundation and founder of its many constituents; Honorary Director of C.P.R. Environmental Education Centre, a Centre of Excellence of the Ministry of Environment and Forests, Government of India; and President of the Conjeevaram Hindu Education Society and Blue Cross of Kanchipuram; and Chairman of HSI India and Board Member of Humane Society International. She is on the Board of Ponni Sugars Ltd; Aspick Green Tech P Ltd; and others. Thanks for filling out the form @ www.aspick.com - We will revert to you shortly on your enquiry. Copyright (c) 2018 Aspick Engineering Pvt. Ltd.